Whether you’re planning a bachelorette party, a birthday bash, or just a cozy night in at the house, here are 7 pot products for the perfect girls night. Ah, girls night. A time for you and your girlfriends to catch up on the latest gossip and get away from the boys. Oh, and binge on snacks, of course. But what would a girls night be without weed? Sure, a bottle of wine is nice and all. But if you and the ladies want to have the best night ever, pot is a must. Whether you’re planning a bachelorette party, a birthday bash, or just a cozy night in at the house, here are 7 pot products for the perfect girls night. What’s one thing girls do best? Nails, of course. You probably already have the polish, now all you need are some weed-friendly decals! 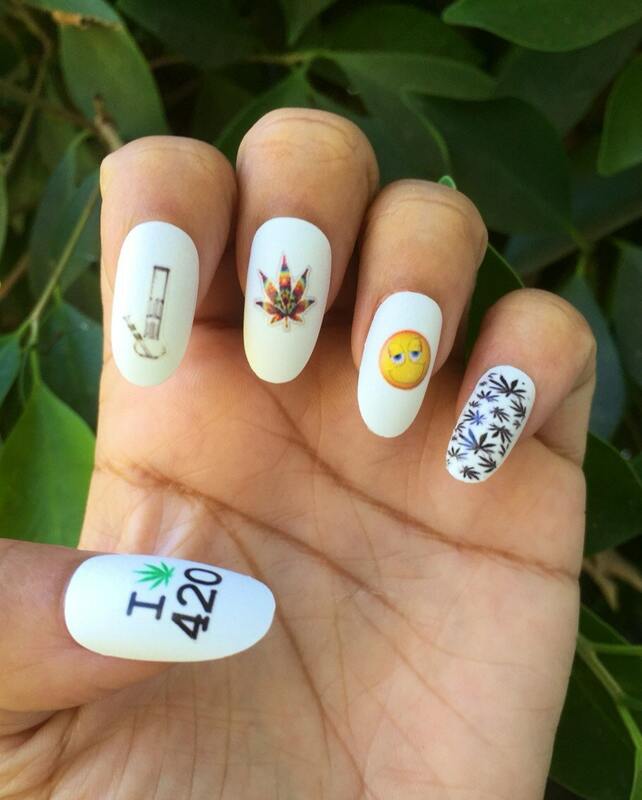 Just because it’s not 4/20 doesn’t mean you can add some 420 vibes to your fingernails. Who doesn’t love a good facial? If you and your girlfriends want to give your faces a lovely beauty buzz, then all you need is a weed face mask. You can even make them yourself using canna oil! Or, if that’s not a possibility, then use hemp oil instead. In case you have some movies picked out for a night in with the ladies, don’t forget the popcorn! Not just any popcorn, but Korova’s white cheddar popcorn infused with coconut oil. The taste and texture may be light, but it sure does pack a punch. Nothing drowns your sorrows quite like ice cream. So if you or one of your girlfriends’ crush or significant other is showing off lately, just take it out on one of Drip’s delicious flavors of infused ice cream. They’ll inevitably chill you all out. Aunt Flo doesn’t stand a chance against Yummi Karma’s Mood Magic tincture. Not only will it lift your spirits, but it will also help ease away the pain that comes from those unbearable period cramps. 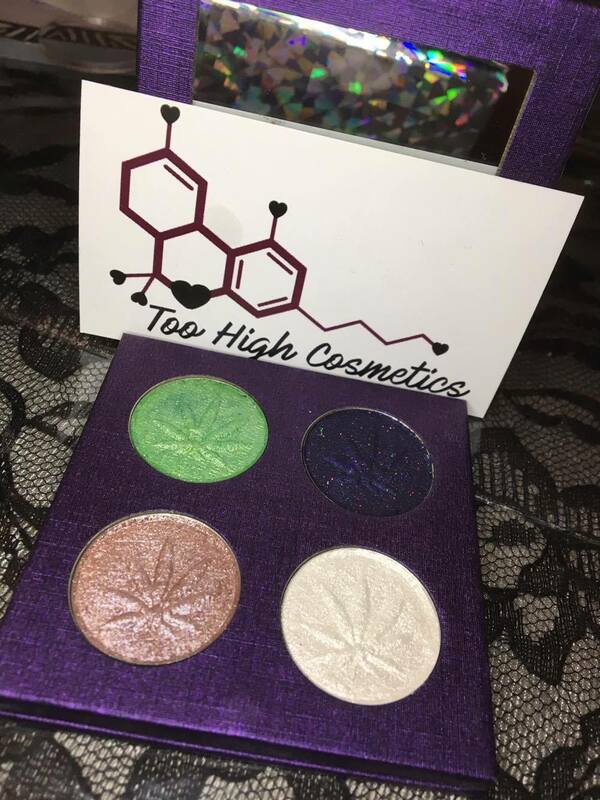 Before you think about pulling out your favorite Kat Von D palette when it’s time to do makeovers, have a look at this stunning product by Too High Cosmetics. Regardless if you live in a legal state or not, you can get your hands on one since each shade is infused with Hempseed oil rather than THC. You even get to choose your own colors, some of which include Mango Kush, Durban Poison, just to name a few. Just like their website says, don’t be at the party, be the party. 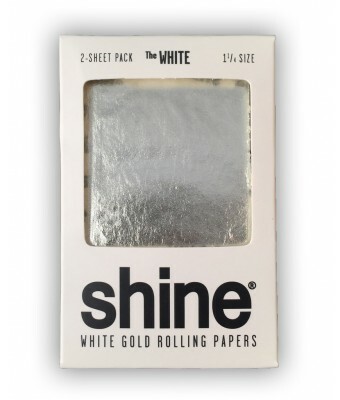 These Shine rolling papers are handcrafted from pure edible silver as well as pure edible gold and will make you and the girls feel super fancy. Why settle for any plain paper when you can toke in style?